I picked this movie solely on the idea that it was new and looked lonely on Amazon Instant Watch. Am I glad I did? Yes, on the whole but it’s not going to be for everyone. This is a difficult one to wrap words around because it’s so many things at once. It starts out as the comedic movie you would expect. It’s not so much funny as it is sort of smirkingly amusing and in bits seems to remind one of Office Space. About a third of the way in, the movie takes a decidedly romantic turn and all thoughts of comedy are left behind. It’s also about this time that the movie starts to have a point contrasting the man-child outlook of unmarried men with the more serious viewpoint of unmarried women. There’s a kernel of a lesson here but it’s brief and not much to look at, though colorfully enough portrayed. The last third of the movie is primarily a super-hero action flick with scads of really bad make-up and intentionally cheesy special effects. It’s not an unpleasant sort of bad really just not a believable sort of good, if you catch my drift. I can tease an interesting lesson out of this section too as it looks at causality and the random events that rule our lives. I *THINK* this may be the main point of the movie but saying anything for sure is really a dodgy proposition in this case. So in summary, I liked this movie and I’m on the bloody edge of recommending it but you have to be in a really open-minded mood to sit down and enjoy it. It’s just so many things and you have to be ready to accept all of them or it just won’t work. This is a movie to watch on your own when you just don’t know what to watch. Trying to watch this with anyone else will just result in annoyed glares from across the room. PS: If you read the word ‘romance’ and are thinking, “oh, he said romance, that’ll be nice!” do not watch this movie for its romantic aspects. The last 60 seconds of the film are sufficient to leave anyone wishing for happy romance agape with disappointment. I will say nothing else in an effort to avoid spoilers. As usual I received this title for free in exchange for an honest review; this time from NetGalley. Also as usual I give my scrupulously honest opinion below. 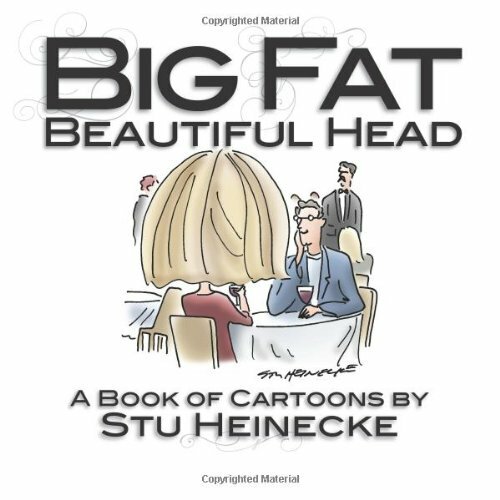 This book is in a fairly unique position in that it’s a book of cartoons but also a book about cartoons. It contains 50 of the author’s choicest offerings and each comes accompanied by a 100-word blurb about the cartoon which usually describes the situation portrayed in more detail or the background of what made the author pen this particular work in the first place. On the positive side, I’m a tough sell when it comes to humor and many of these caused me to actually laugh. I’m amused by much but don’t typically let it out. Heinecke is a surprisingly funny guy even by my standards for the term. The book is also unique in that it does what I always want books about comics to do which is to describe in more detail the background of what’s being drawn. The comic form is so terse by its nature that often I think we all want a few more words than the 10 we typically get and this book gives us that missing detail. To the negative, this is really short. As I said above it’s 50 comics and at its current Amazon selling price that’s 20 cents per comic. it would be more cost effective to actually subscribe to the Wall Street Journal and just read the comics (which I’m sure happens more than people will admit). The inherent terseness of the comic writer is still evident in the short, large-font blurbs as well. There’s more description but there’s still not everything you would hope for. In summary, this is a nice offering from a funny author but it’s probably one to pick up on the clearance rack. Its all of a 20-minute read and you should determine the price you would pay based on that. Click the image to go vote my review helpful! As usual I received this book for free through a a giveaway. In this case it was via a LibraryThing member giveaway. Despite this kindness my candid opinions follow. On the positive side, this book has a very upbeat and encouraging attitude. 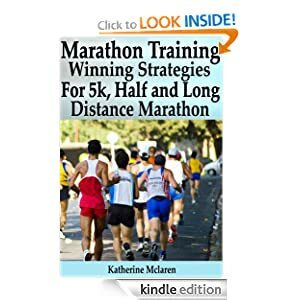 It attempts to work as much on the mental aspects of running as it does the physical and nutritional ones. In summary, I’m concerned that the author could easily be sued because of this book. I reserve one and two star reviews for books that are just unreadable because of language or because they may harm other people. This book is, unfortunately, both. I recommend it for no one and advise those who wish to begin a health regimen to seek out a more legitimate and professional source for information. The book is clearly well-intentioned but falls far short. Click the cover to view the review on Amazon and vote it helpful if you find it so! If you’re here then I don’t need to tell you about the content of this particular book because you’re probably already a fan. This is some of the very earliest work in the series and for more casual readers these may not seem like the Peanuts they grew up with in later decades. Despite that difference these are true classics that belong in any collection. Since I don’t need to tell you about the content, I will go on at some length instead about the quality of the publication itself. Firstly, be careful reading other reviews on this title as they refer to much older editions. If you buy the book from Amazon today you’ll get a huge coffee-table book with startlingly crisp printing and vibrant graphics. 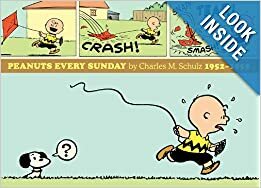 This book is what I had hoped for from the ‘Complete Peanuts’ series and is just about everything you could ask for in a reprint series. The only negative I’ll bring up is that it’s almost too nice to actually read. The paper is thick stock; the dust jacket is pristine; it’s a durable hardcover. It’s like having a new car that you park far from the front of the lot so nobody parks near you. I feel guilty sitting down to actually read it for fear that I’ll get something on it or some simple mischance will mar its perfection. If you have no such compunctions then you’ll be fine. In summary, this is the book you want and makes a breathtaking gift for any fan of the comic. I live in fear that the binding may give out after years of reading but if a few pages make their way lose then they’d all be suitable for framing. It’s just THAT high quality. For the first time in a long while, I bought this book on purpose with the intent of reading it. Despite that, I may still be a bit biased as I just love the movies of the 40s and 50s that came about because of this book so I might be a bit biased. As usual, starting with the positive, this book is a delicious snapshot of the time in which it was written. Characters are colorful and varied and painted with a broad and amusing brush. I was especially delighted when I realized (or remembered) that Ma and Pa Kettle made their debut to the world in this novel. The portrayal of those characters is rather harsher and more negative than their on-screen depiction, but they’re certainly recognizable. The author has a wry comic wit that falls just short of actual laughter. This one is a classic archetype of the day. To the negative side of the ledger, the book is rather a random hodgepodge. Timelines bounce back and forth with seeming randomness and the whole thing is very much in the form of someone’s stories told around the kitchen table committed to paper. Little attention has been paid to the narrative long form and near the end especially things just don’t hang together very tightly. In summary, this is a fast and entertaining read but no work of great literature. It has much to reveal about the time and place of subject and does so with some comedic effect, but falls short of outright guffaws. As usual, I won this book from the author in what I would categorize as a quasi-GoodReads giveaway. Despite that kind consideration my candid opinions follow. 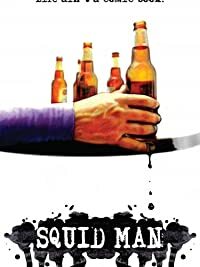 The story masquerades as a not-so-typical twenty-something memoir; our three protagonists, who could not be any more dissimilar, find themselves in a series of amusing and illuminating situations that reveal much about the mental state of men at this particular time of life. On the positive side, once the reader is properly engaged with the novel (it did take a while for me to get into the flow of it) the story really is quite difficult to pull away from. While the specific hijinks engaged in are difficult for me to relate to personally, the story really does capture one’s attention. The author’s use of language and wordplay, along with the illustration of the relationship between the three male leads is both amusing and intellectually insightful. 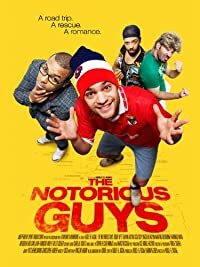 The group of three guys makes you rather pine for a trio of strong friends to hang out with (though one could do without the felony convictions). Lastly, the author includes some rather vivid descriptions of sexual encounters which are sprinkled throughout the novel at reasonably appropriate intervals. While I’m not typically one who seeks out such things, Segundo executes these descriptions with a wonderful and evocative realism that is rare in the genre. The only real negative I would point out in any of this is that the book is so thoroughly provocative that it will be difficult for it to find any market whatsoever. Its title alone assures that it cannot make any uncensored appearance on the New York Times Best Seller List. The book has a lot to say and crystallizes well some key differences between the way genders view the world but sadly the whole thing is stuck behind a title that creates such a visceral reaction in many that the message is lost to the universe as a whole. In summary, you can’t judge a book by its title. Segundo has delivered entertainment and also a strong sociological point that may sadly never make its way to any sort of popular consumption. The author’s use of language is playful, entertaining and well-executed. Another good book doomed to obscurity by insufficient marketing.